For all of you who celebrate relationships in one way or another. This is a gift that you can wear with your significant other. 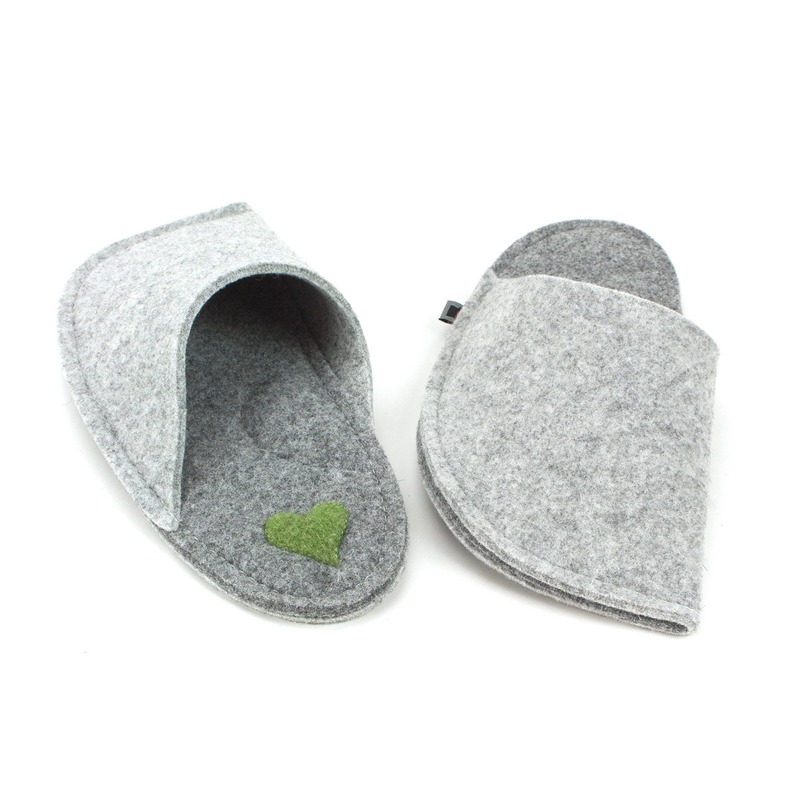 Package includes 2 pairs of slippers (both sizes can be chosen individually). 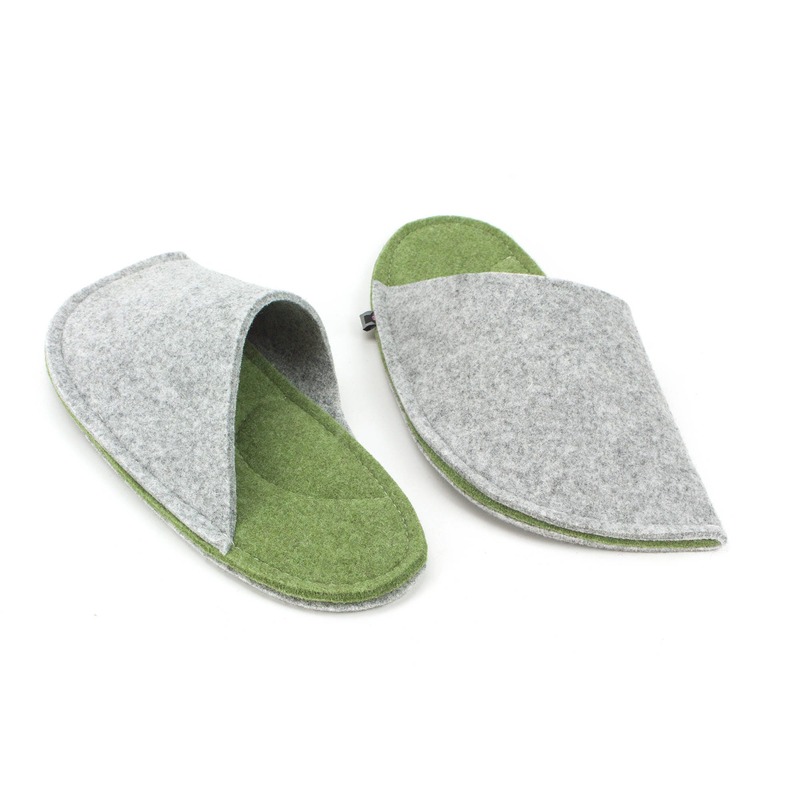 1. option: External layer of the slippers is LIGHT GRAY, insole is DARK GRAY. The heart patch is pine green. 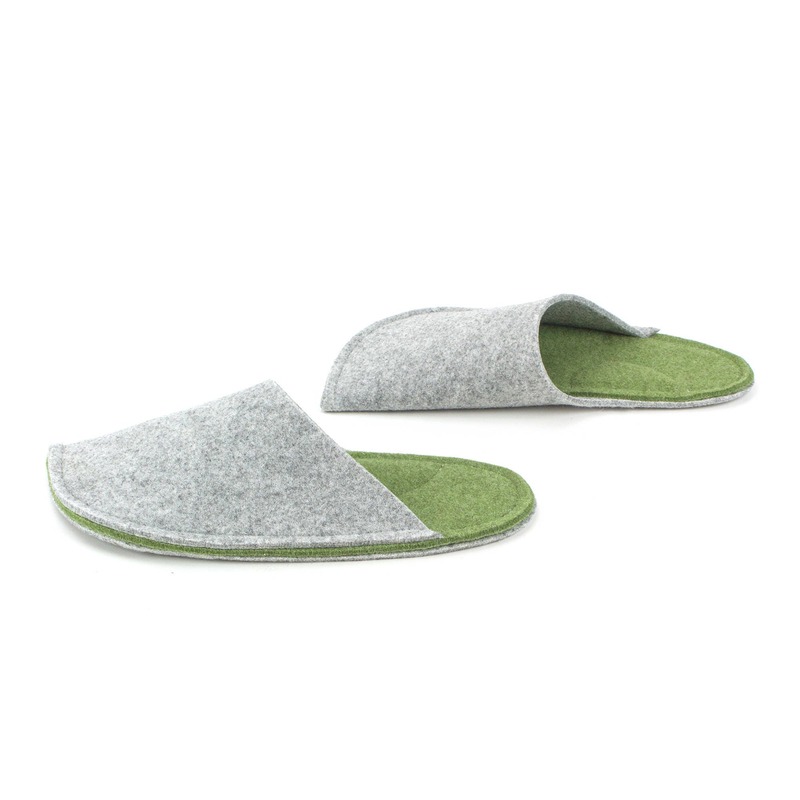 2. option: External layer of the slippers is LIGHT GRAY, insole is PINE GREEN. 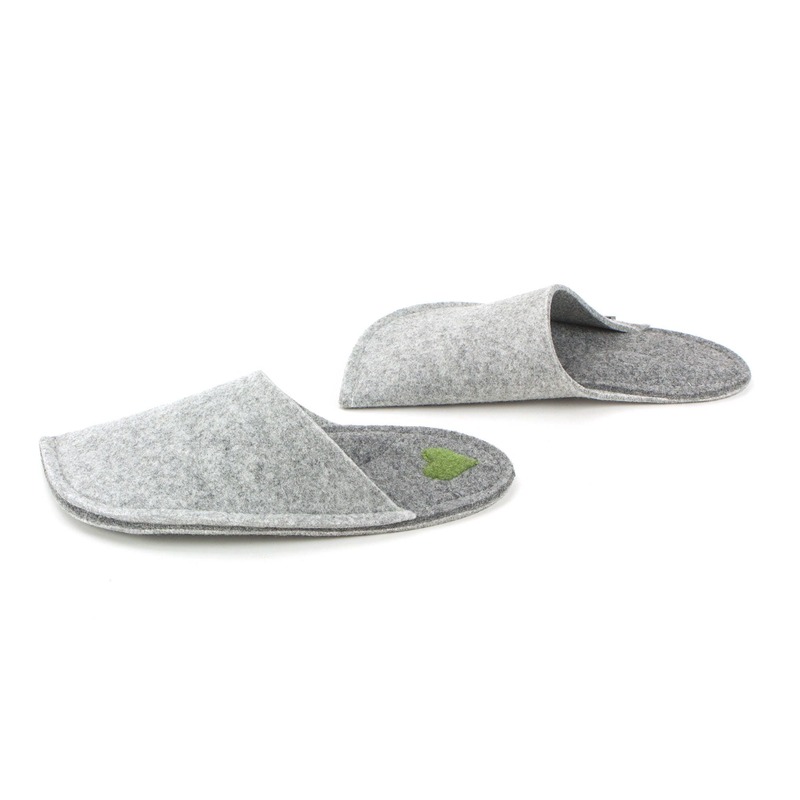 HOW TO TAKE CARE OF THE SLIPPERS? 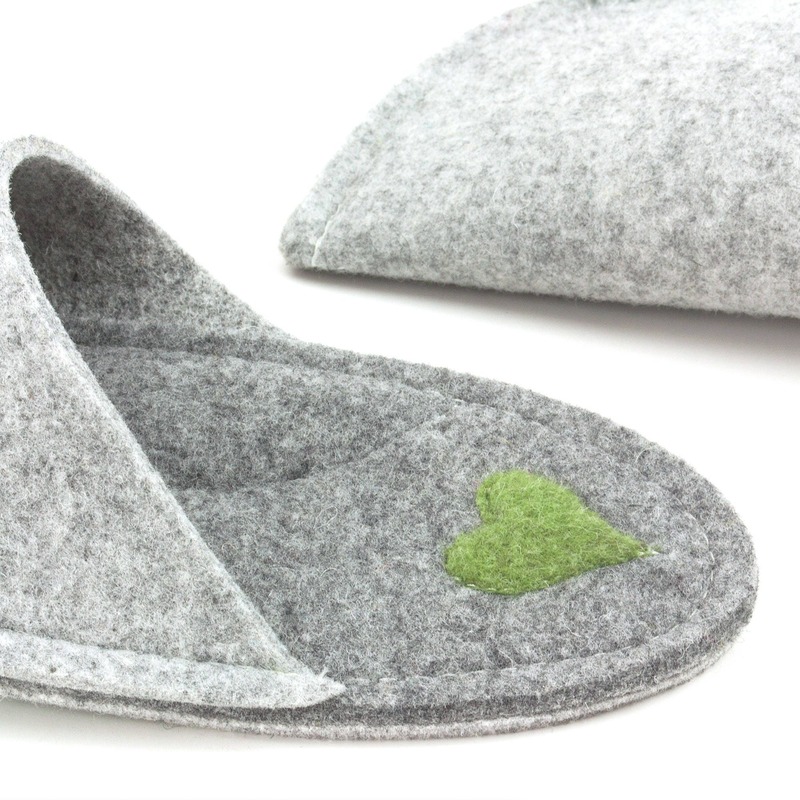 Any beautiful product - especially if it is entirely handmade - deserves to be taken care of. 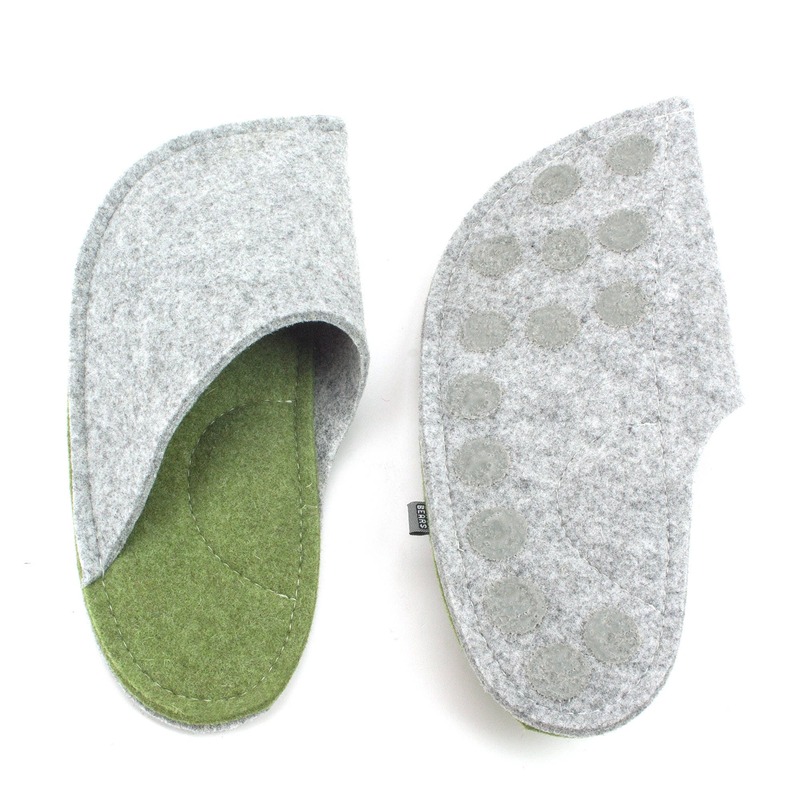 Brushing the slippers with nicely warm water from time to time will keep them smiling for a long time. Try not to use harsh cleaning shampoos. After that just let them breathe for some time so they completely dry out. 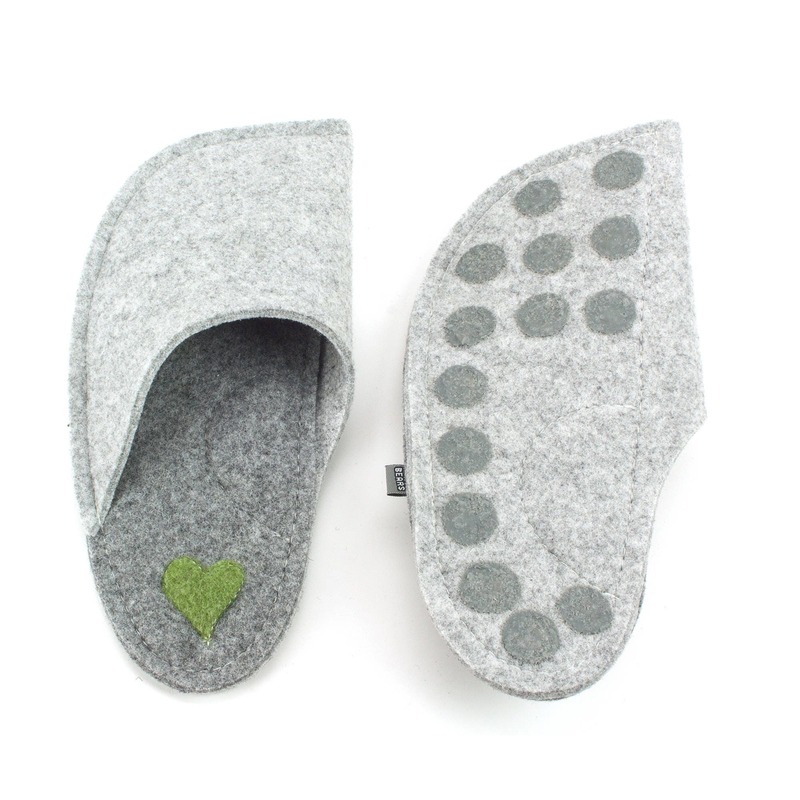 You can also wash them in a washing machine on 30 degrees celsius (wool program) with wool detergent.